The first time I saw The Psychedelic Furs was at now demolished old Bayfront Theatre in St. Petersburg Florida. 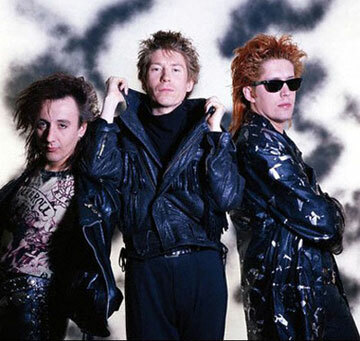 Richard Butler, lead singer, was in his traditional trenchcoat. What was ground breaking for a new wave band is that the band included a cello player. This was for their first commercial successful release, "Forever Now", produced by Todd Rundgren, circa 1983. Butler commanded the performance with a mysterious enchanting appeal. The band at this point in their career was hitting upon all cylinders. I used to go to the old mall that is now the training camp of the Tampa Bay Bucs, and meet my brother at Barney's (for you kids pre Starbucks) coffee shop and down one or six espresso's and go home and listen to the Psychedelic Furs first two albums. Seeing them live at this point in my life was a dream. After their next album, "Mirror Moves", they played at Janus Landing in St. Petersburg. Of course I was there as this album contained the best single ever, "Heaven". This time with a saxophone onboard the Butler brothers (Tim Butler was the bassist) did not disappoint. With his swirling trenchcoat Richard Butler proved he was brilliant. After that the Furs tried to go mainstream FM rock with disastrous results and soon disbanded. 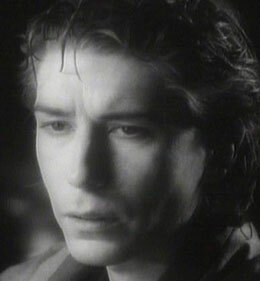 Richard Butler went on to make two great albums under the horrible name, "Love Spit Love". These were basically P. Furs 2.0. Eventually, like all 80's bands, the Furs returned for a nostalgia tour. Back at Janus Landing, deja vu, I was treated to the best of the Furs. With Love Spit Love guitarist Richard Fortus along for the ride the band proved that they were still the great Furs I loved in the 80's. Despite all this platitude, this is not why I love Richard Butler. In 2006 Butler released his first self-titled solo CD. Produced with Jon Carin, who previously was in the band, "Industry", this CD went, sadly, completely under the radar of most everyone. Richard Butler's solo release is like a wonderful piece of candy, a relaxing massage or just a wonderful gift. Tracks like "Good Days Bad Days", "California" and "Aeroplanes" are a joy to listen to. This is why I love Richard Butler. "Music Mathers" is ©2014 by Vinnie Blesi. All contents of Crazed Fanboy are ©2014 by Nolan B. Canova and Terence Nuzum.